Lauryn Hill is trying to be positive about her three month jail stint and says she has been overwhelmed by the support from her fans. 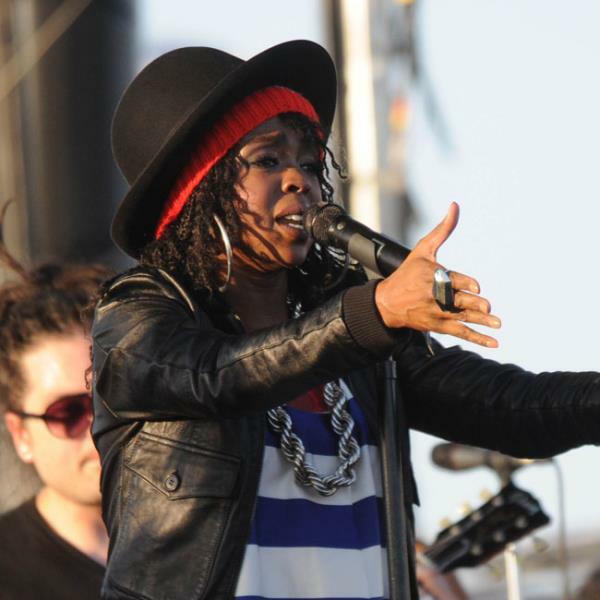 Lauryn Hill is trying to be positive about her incarceration. The 38-year-old singer is serving three months in the minimum security Federal Correctional Institution of Danbury in Connecticut after being found guilty of tax evasion and Lauryn says she has been treated well and has met some good people in prison. In a letter posted on her Tumblr page, she wrote: "I have known since very young to look for the purpose and lesson in everything, including the trials. Although it has taken some adjustment, I cannot deny the favor I have encountered while in here, and general warm reception from a community of people who despite their circumstances, have found unique ways to make the best of them. Thank you for the letters of concern and well wishes that I receive in the mail every day. Although I may not be able to write everyone back, please know that they have been received, read, acknowledged, and appreciated.With Love back, MLH (sic)." After she has served her time in jail, the former Fugees singer will be on parole for a year, with the first three months under house arrest. Lauryn had pleaded guilty to the charges against her, but had her initial sentence of a year reduced after she asked for leniency because of her charity work and estrangement from the music industry. She also paid $970,000 of the $2.3 million tax bill.